Ohh. 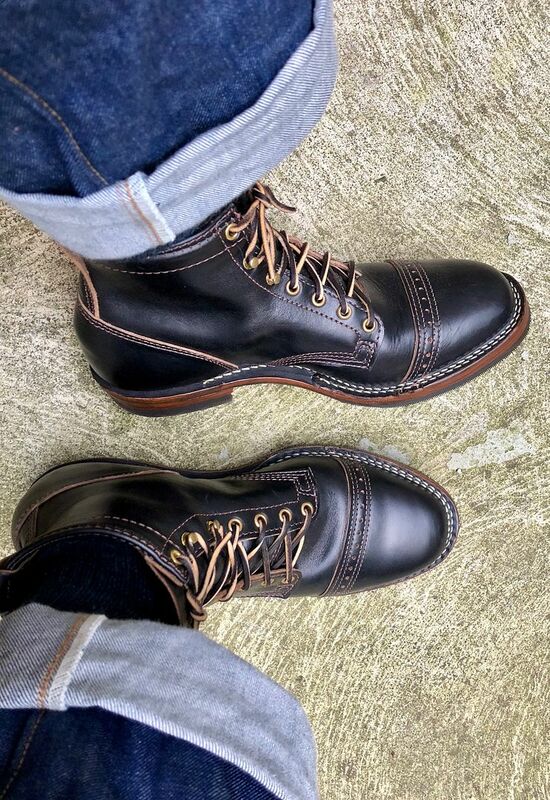 I have been eyeing the Romeo's by Wesco. Well, as proof that I'm nothing if not consistent, both of my laces broke one-after-the-other this morning while tying up my boots. 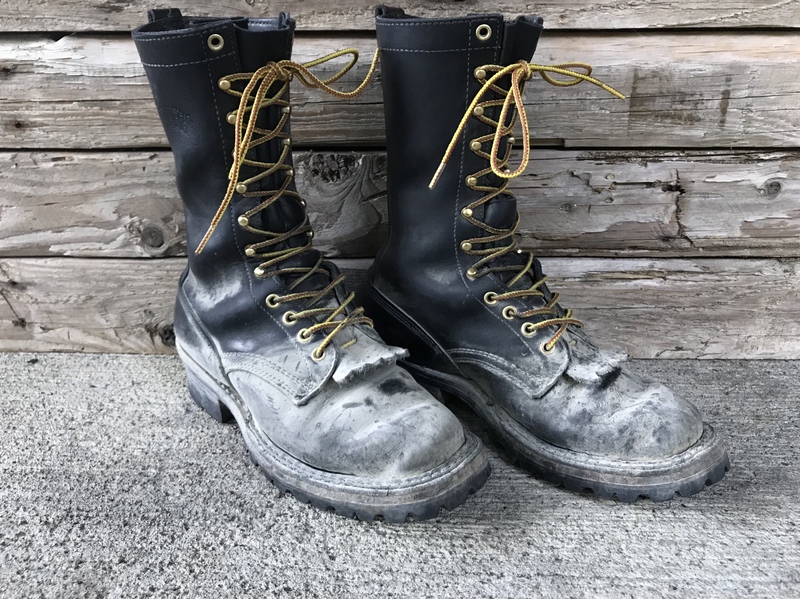 Any recommendations for good rawhide laces? 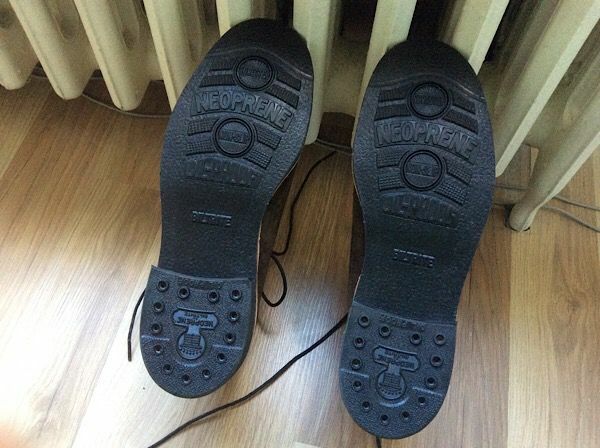 This was the first time I'd tried them, and the extra give that they offered over the nylon cord or flat waxed cotton that I'm used to was very welcome, even if it resulted in a shorter lifetime. 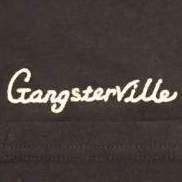 Is there much variation in quality from supplier to supplier? and, for future reference: Is there much that one can do to care for rawhide laces in order to help their longevity? 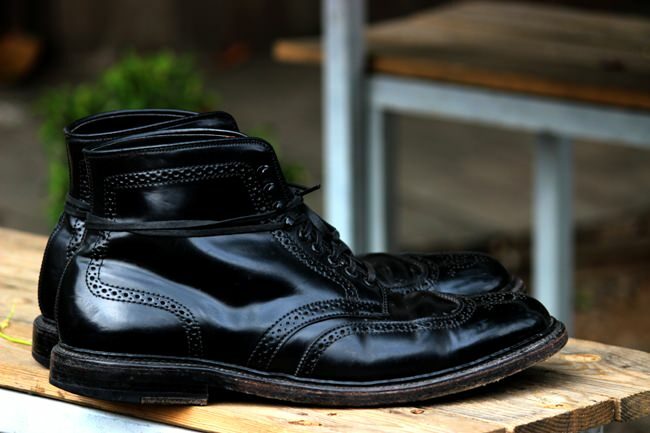 Soaking the laces in oil (whichever leather oil you have to hand) helps longevity, in my experience. Also - received the Wesco Axebreakers via Standard & Strange. 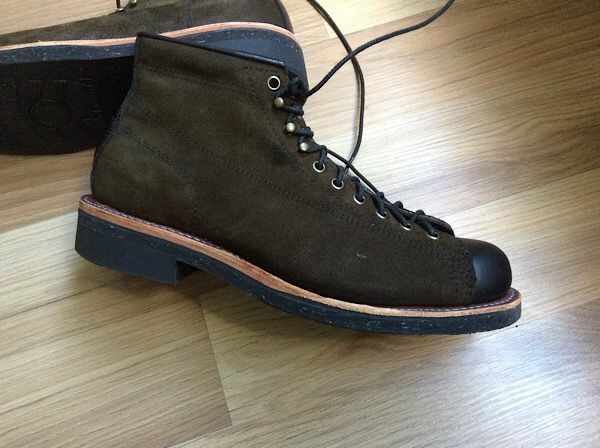 Great service from @mrsmiff and co.
@AriesThey kind of remind me of the Sam boot by Clinch. Priced the same as well. 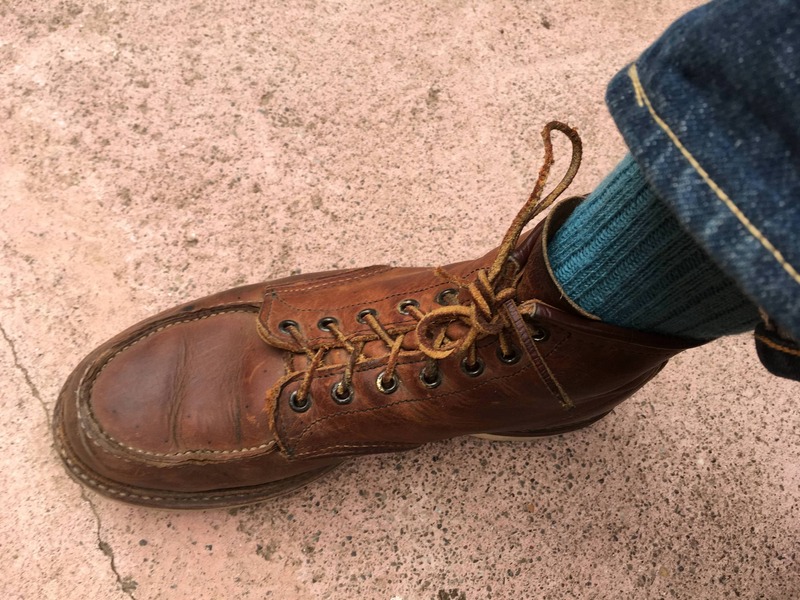 anyone know where I can buy Clinch lace up boots? Preferably Europe? Contact Clinch directly. MUCH cheaper than Pancho and Lefty. Probally the best leather laces I own. Thickness is consistent and strong, also has a nice waxy soft touch. This is true but two caveats: Pancho and Lefty offer a 20% discount if you sign up to their newsletter, and shipping from them will be less expensive than from Japan if you’re in Europe. If that 20% discount can go toward Clinch, then yes it might work out given European import charges. I was unaware of the import charge. That is good to know. Yep I’ve used the discount on Clinch myself and also bought from Clinch direct; works out a bit cheaper overall from P&L. Nice! That's great information for European buyers. Thanks all. Ordered a couple pairs of laces from Guarded Goods—should be here mid-next week. Looking forward to it. let us know what they're like when you get them. Went from the white Christy sole to this. 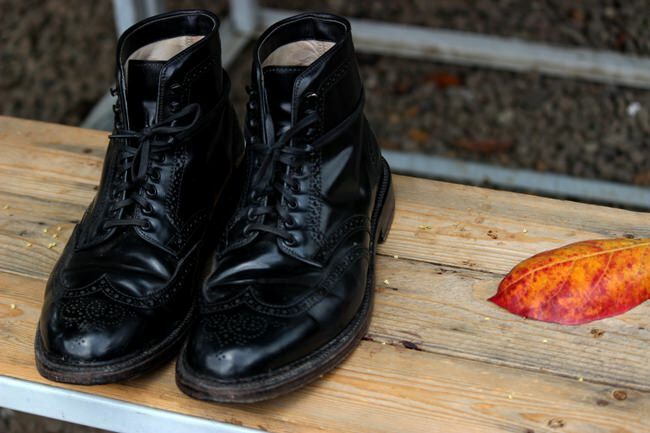 Cobbler did a nice clean job. Where'd you locate the soles @Brenjay? Or were they provided by the cobbler? 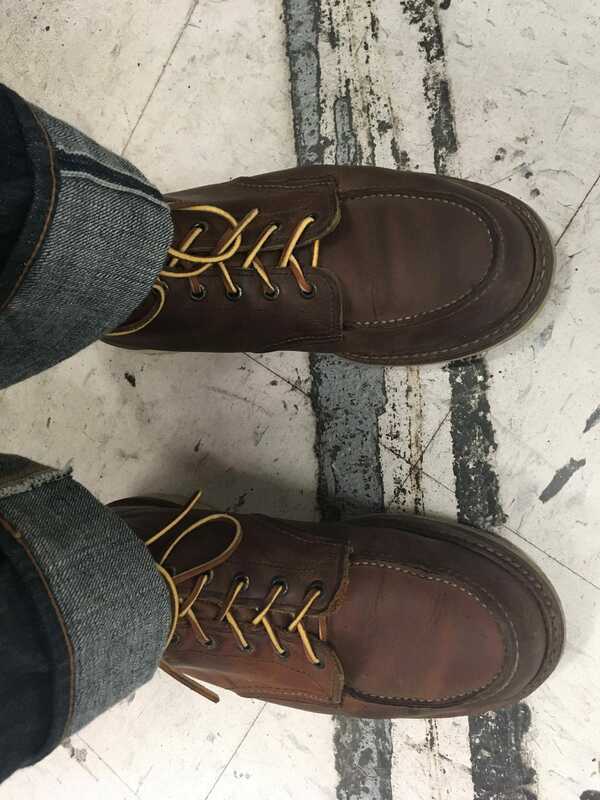 I'm soon to need my Real McCoys boondockers to be resoled, anyone have recommendations on where to find that great cork/rubber sole they use? God knows local Melbourne cobblers won't have it. Cobbler provided, these are still made and available. 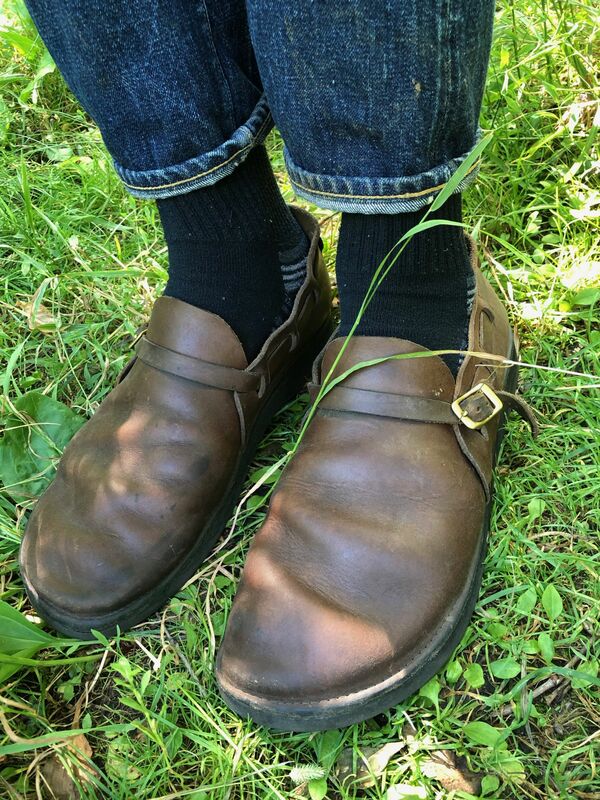 My summer shoe, handmade in Upstate New York at the Aurora Shoe Co.. Still breaking them in and they're getting more and more comfortable. Horween Leather I believe. 2 months wear on these. Haven't seen many people with those either. I got mine about two years ago, but only really wear them barefoot in the summers. Hope they'll soon look as good as yours! Took this comment to heart. 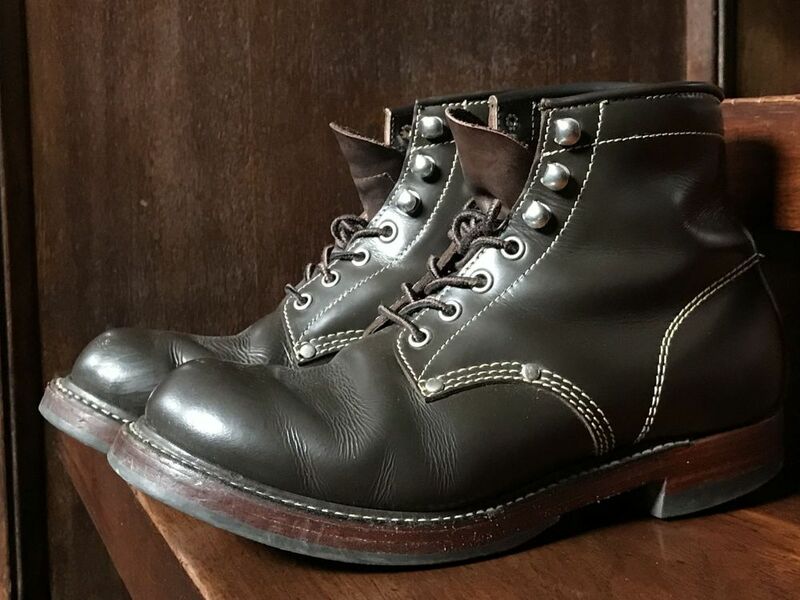 Washed them last Thursday with soapy water and an old toothbrush; let 'em dry 'til the weekend then did a good coat of mink oil. Looking and feeling as good as new, now, laces and all. Sorry for the unnatural lighting. 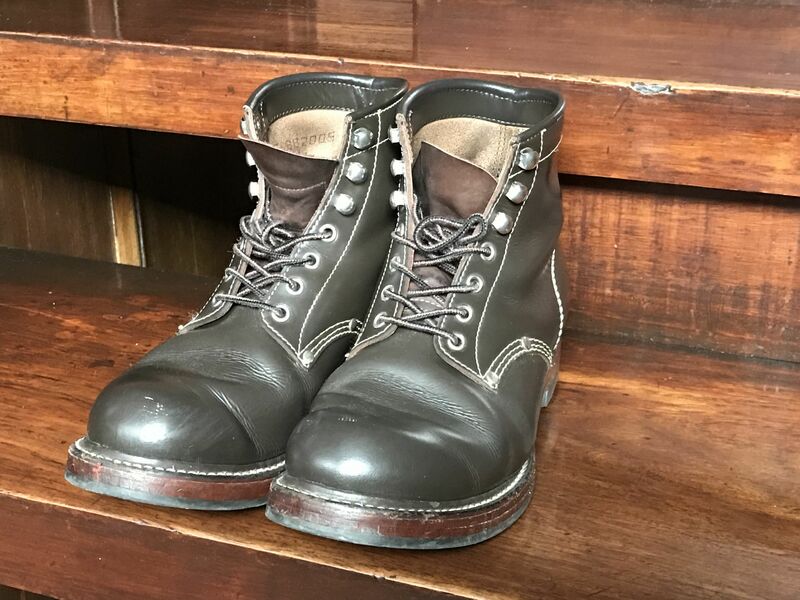 Toys McCoy Iron Clad Boots. No complaints whatsoever, these are one of my faves. So good. 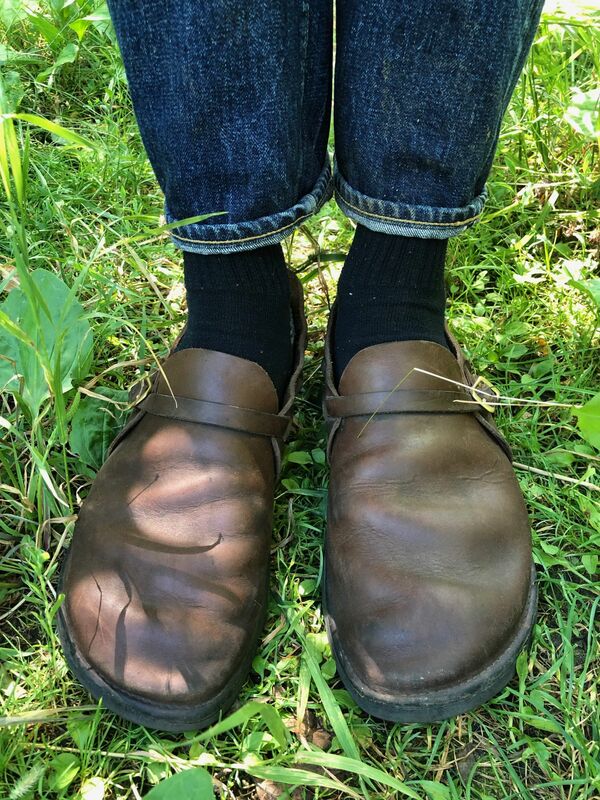 Wish my own pair fit me, but had to sell them on, too wide for my goddamned narrowed feet...! Although I don't own a pair, these are one of my all time faves too. Looking good! Thanks mate! 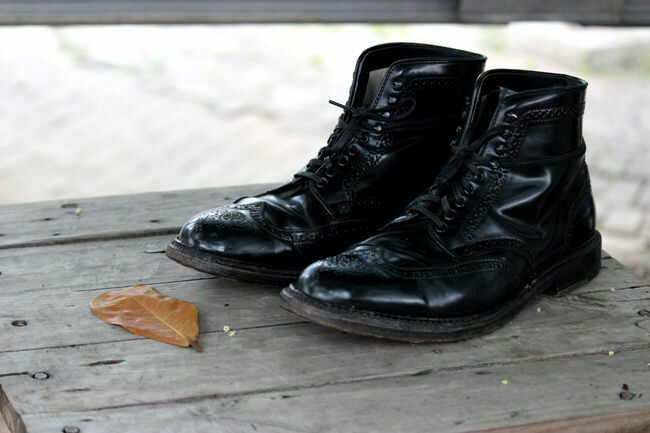 Had been beating these boots for a while now. Especially on the occasional trip to Japan. The Amekaji store owners in Japan always mistook it for White’s. I always took that as a complement since White’s boots tend to be priced on the higher side.